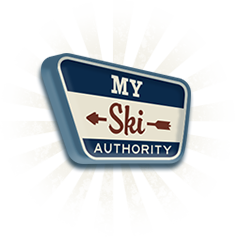 Welcome to Massachusetts Ski Authority. Your Spot for Ski Discounts. The first thing you have to know about skiing in Massachusetts is that you’ll have plenty of options, both in number and in style. For the resorts near Boston often differ from those in Western Mass. Below are five tips to help you choose the right resort for your vacation, so you can concentrate on making memories while speeding down the slopes. According to the National Ski Areas Association, 83% of skiers don’t return to the slopes after trying it for the first time. Skiing is tons of fun, but it can also be hard, especially for beginners. To make the most of your trip, choose a resort that is appropriate to your skill level and offers lessons, if needed. If you are new to skiing, Ski Butternut is a resort that caters to beginners. In addition to 22 trails, many of which are specifically created to make skiing fun for newbies, they also offer discounts for first-time skiers. Berkshire East is a better choice for the advanced enthusiast, with 8 advanced runs and two extreme ones. Are you planning a romantic trip or a family romp? Different resorts within the state cater to different groups, and choosing the right resort can make all the difference. After all, you probably don’t want to hear a screaming baby during your honeymoon, just as you don’t want a bunch of careless showoffs buzzing the youngest of your Massachusetts skiing family. Jiminy Peak Mountain Resort is consistently rated among the top skiing destinations for families. With 45 trails of varying levels, including training slopes, which are of a lower difficulty than even bunny slopes, there is something for every level skier. Afterwards, the Mountain Adventure and Aerial Adventure Parks features roller coasters and theme park attractions that allow for a change of pace for the kids. For a more romantic trip, try Cranwell Resort Spa and Golf Club. The resort is best known for their golfing, personal fitness, and spas, but it is a little known secret that they also offer cross-country skiing as well. With over 6 miles of groomed slopes, there is plenty for a fun weekend of skiing in Massachusetts, without the crowds. Looking for a romantic change of pace from your normal skiing routine? Try night skiing, in which you ski under the moonlight—with a little help from some artificial lighting. The slopes are typically less crowded at night, making it a perfect chance to get away for some fun in the snow. Currently, four resorts in Massachusetts offer night skiing: Jiminy Peak Mountain Resort, Catamount Ski Area, Bradford Ski Area, and Ski Ward. Another way to change up your skiing adventure is to try snow-tubing, which allows you to careen down a slide, without having to learn the ropes of the skis. It’s also a great way to coax the newbie skier into coming along. There are four resorts in Massachusetts that offer snow-tubing: Ski Butternut, Berkshire East, Nashoba, and Ski Ward. Regardless of your level or desired skiing experience, there are a few simple tips that can make skiing in Massachusetts more enjoyable. If possible, buy your tickets in advance, which will save you time from waiting in line at the resort. Because many of the slopes fill up quickly, it’s wise to get there early. Finally, remember sun protection—it can be easy to forget when it’s below freezing, but sunburn is a common problem on the slopes. With the above information in hand, go ahead and choose the perfect resort for your next ski trip. You’ll be speeding down the slopes in no time, making memories that will last a lifetime.